Get your kicks on more than 400 miles of Route 66 in Oklahoma. The nation’s longest driveable stretch of Route 66 cuts through Oklahoma, making its way past charming towns, roadside diners and quirky attractions. Experience Oklahoma City, Tulsa and authentic hometowns along the Mother Road where you’ll meet friendly people and find unique shopping and dining opportunities. 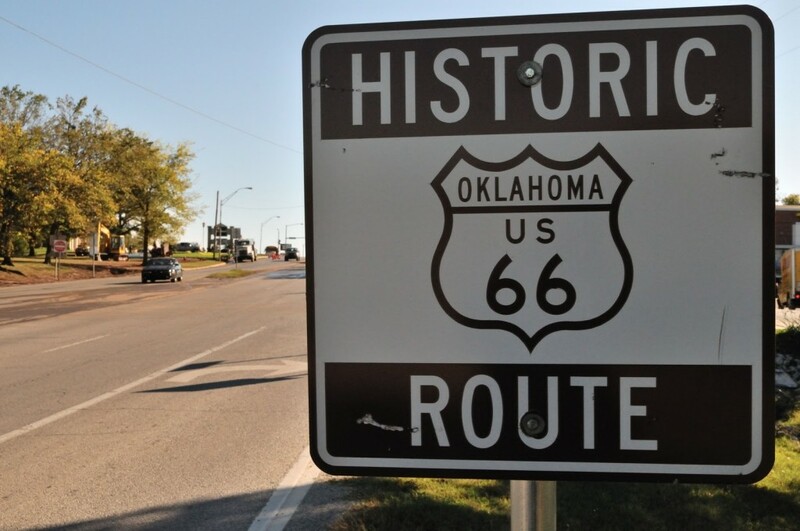 Oklahoma has played a huge part in that history, being centrally located along the route and holding the country’s longest section of Route 66. Experience the dust bowl as thousands streamed along the road, away from drought and despair and towards the “land of promise.” Listen to the sounds of the Big Band Era, when the roar of the big trucks and the welcome home cries to returning soldiers dominated the road. Touch the counter and sit in the booth of the 1950’s diner and feel the open road as America’s families vacationed along the length of Route 66. The museum also offers changing special exhibits, focusing on the Rt. 66 experience.